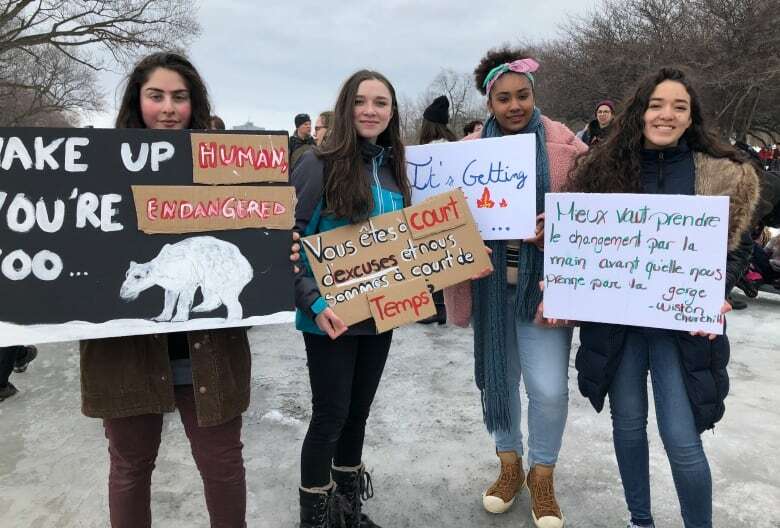 Marches are also being held in other Canadian cities, including Toronto, Vancouver, St. John’s, Charlottetown and Regina, but Montreal’s appears to have been the largest. The co-ordinated “school strikes” being held in more than 100 countries were inspired by 16-year-old Swedish activist Greta Thunberg, who began holding solitary demonstrations outside the Swedish parliament last year. “We are declaring an environmental emergency,” one said. “We are more mature than you,” said another, echoing Thunberg. “Classes may be for our future, but we won’t have a future to look up to if we don’t come to protests like this,” said Rose Kahhali. “It’s by making big actions like this, to draw people’s attention, that we’ll be able to make lasting change,” Binetou Sarr said. 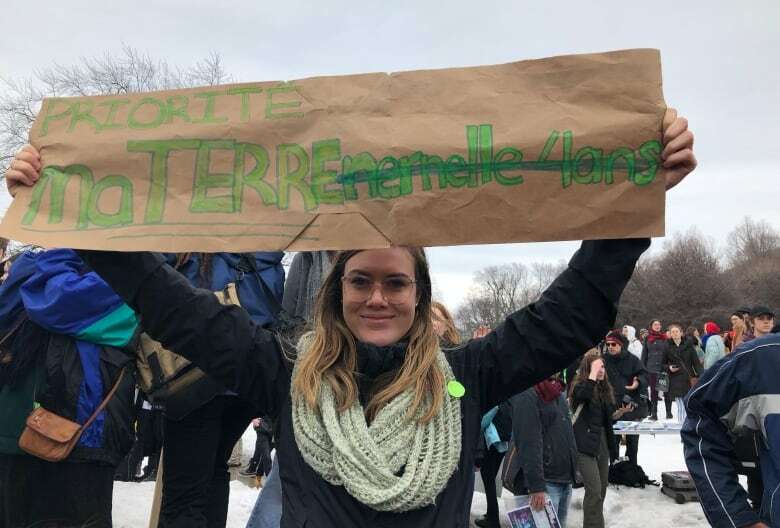 One of the march’s organizers, 17-year-old CEGEP student Émilie Vandenbegine called for more political action from local governments on climate change. “We’re very proud because we put this thing together in a really short time. The outcome is really, really positive,” said Vandenbegine, as students tapped on makeshift drums. 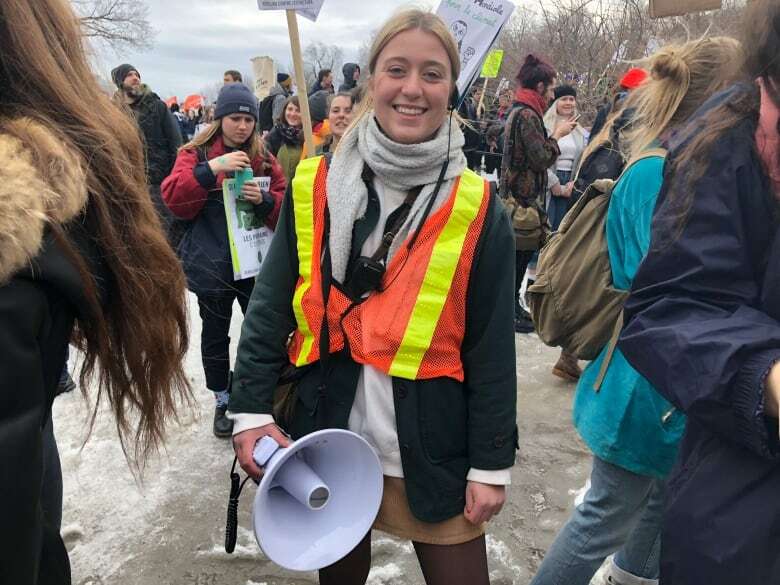 Université de Montréal law student Anne-Frédérique Perron, 21, held up a sign that made reference to one of the issues Quebec’s government has prioritized — making kindergarten available to all four-year-olds in the province. “It’s ridiculous. 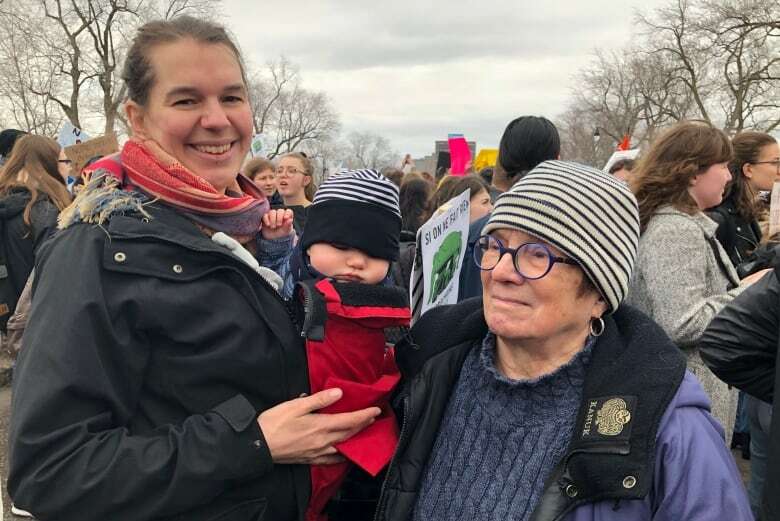 We’re in 2019, and we have a government for which the environment does not exist,” she said. “We can no longer allow ourselves that. This is a matter of survival. 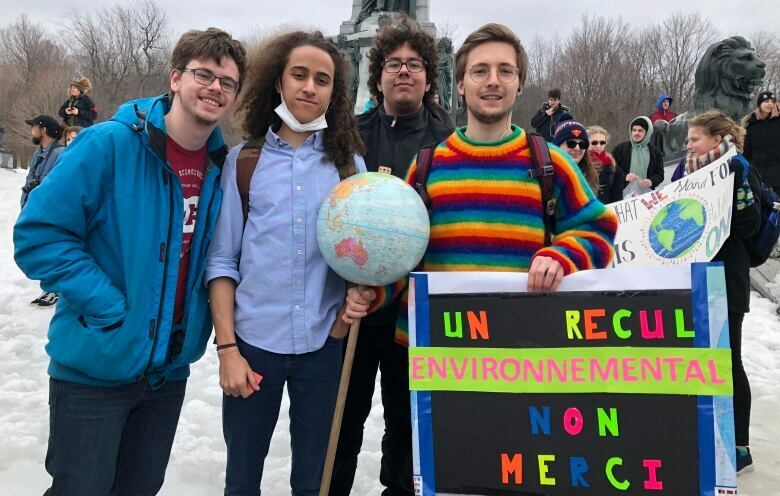 Friday’s march was the first protest Thierry Poulin ever attended. He said he was motivated by the idea that change is enacted through collective action. “It’s her future we’re talking about,” Couturier said of her daughter. “Having a child right now is kind of a strange thing because I don’t even know if she’s going to have an environment that is going to be decent to live in. In 2015, world leaders agreed in Paris to a goal of keeping the Earth’s global temperature rise by the end of the century well below 2 degrees Celsius.